The Hoffman Agency will provide strategic communications counsel to Reed Exhibitions once again regarding its Build Eco Xpo (BEX) and Mostra Convegno Expocomfort (MCE) conferences. BEX is one of Southeast Asia’s largest trade exhibitions for the green building market, while the MCE conference covers the heating, ventilating, air conditioning and refrigeration, plumbing technology and solar energy sectors. 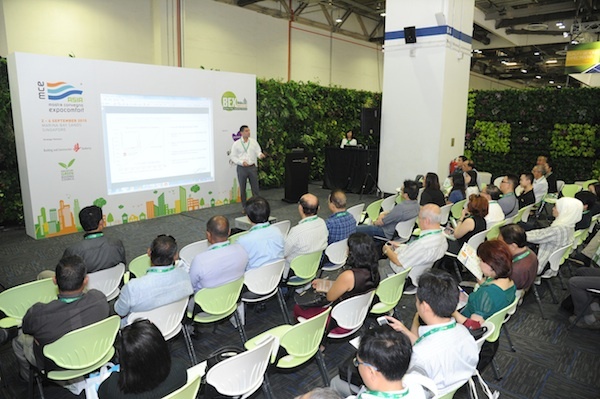 Both events are being held in Singapore between 7 and 9 September, during the country’s Green Building Week. Following a competitive pitch, Hoffman is handling BEX for the third year running and MCE two years in a row. The agency will seek to build the two events’ presence in the region. "We are confident in telling the regional and national green building stories, and definitely look forward to working together with Reed Exhibitions again," said Shawn Balakrishnan, general manager at The Hoffman Agency Singapore. Louise Chua, project director and business development director at Reed Exhibitions, said: "The team at Hoffman has delivered noticeable results for us in the past few years and we’re confident that with their creative storytelling expertise, they will continue to propel the green building agenda ahead to introduce fresh approaches in engaging the press for BEX Asia and MCE Asia."